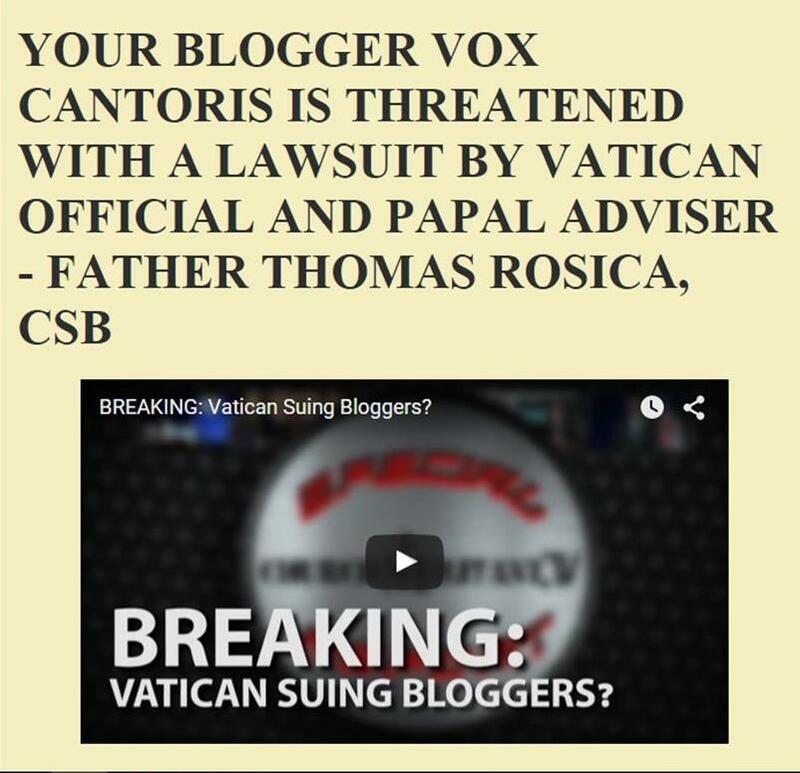 Vox Cantoris: CCCB declares its authority over the Pope! CCCB declares its authority over the Pope! With a hat-tip to Barona at Toronto Catholic Witness (a blog that should be referenced regularly), we find that the Canadian Confrence of Catholic Bishops has declared the Priestly Society of St. Pius X as "a schismatic group not in communion with the Catholic Church." When did the Pope make such a declaration? Has Benedict XVI ever, ever said such a thing? The nuanced "schismatic act" in Eccelsia Dei adflicta is not such a declaration. As Barona states, "The CCCB may be eager to create a schism, the Holy Father is not. At such times of crisis in the Church, it would be best for the CCCB to refrain from inflammatory language, and to correct the terrible abuses that exist within the various dioceses across Canada; rather then fling unhelpful accusations at the SSPX." Bishop Fellay's recent trip to Toronto and New Hamburg have been noted worldwide. His comments and disclosure about the talks between the Society and the Holy See were, in my opinion, imprudent. Worse, his continuous deleterious remarks towards our Jewish brethren as "enemies of the Church" is not acceptable, notwithstanding the explanation that all who oppose Christ are enemies. The issue here is not the SSPX it is the CCCB. As Barona continues, "The CCCB has no canonical authority over the lay faithful." This is the fundamental issue, the ongoing exertion of authority which it does not possess over the faithful and the acquiescence of the diocesan bishop permitting this usurpation of their own authority to continue. Let us be abundantly clear, the CCCB has no right to make such a declaration that the Holy Father himself, has not. Excellent post Vox, and exposition of ideas that I had not yet brought to fruition. There is something deeply disturbing about the CCCB (The Heresy Hunter has on more than one occasion developed this theme). I frankly find it absolutely disgusting that the CCCB would start to tongue-lash the SSPX while remaining silent on the gross negligence of the bishops on: liturgy, catechesis, disciplining heretics and schismatics (e.g. dissident priests, nuns etc.). The CCCB article is a preposterous exercise in arrogance, stupidity and ineptitude. It is also evil: when the Holy Father is struggling to keep the SSPX from precisely not falling into schism, the CCCB decides that they are schismatic. Vox, you nail down a very grave problem: the local Bishop being undermined by the bishops' conference. This is a grave problem, and Rome should act to ensure and encourage bishops to be bishops. The local bishops make up the bishops' conference. They can choose to go along with what is collectively said or not. I would believe what you say (bishops being undermined) if you can demonstrate how this is so. In Toronto for instance, I doubt very much that the cardinal would say anything out of line with what the conference has to say. I'd go further and suggest that he has a lot to do with what's collectively said. As for Rome - I doubt you'll hear a peep from them on the subject of bishops' conferences. These bodies exist all over the Catholic world. Rome's silence can only mean they go along with it if they're not encouraging it. Yes; you are correct and by acquiescing to the Conferences bishops have erred in giving up their authority to a bureaucrat. Was every bishop asked? Do they all agree with this statement? If so, they could do as Bishop Henry did and issue his own statement. Of course, not all are made of the stuff of Bishop Bruskewitz who was quite clear when he said, "I don't report to the USCCB, I report to the Pope." Yes, Rome knows; and some day, Rome will wake up and restore to the Chair of Peter the ulitimate authority that has been lost due to a false collegiality. Write and flood their inbox.